Part of the highly regarded Crossway Classic Commentary Series, this landmark work has been stylistically adapted for the modern reader, but preserves the message of the original expositor. Colossians & Philemon: Crossway Classic Commentary by J. 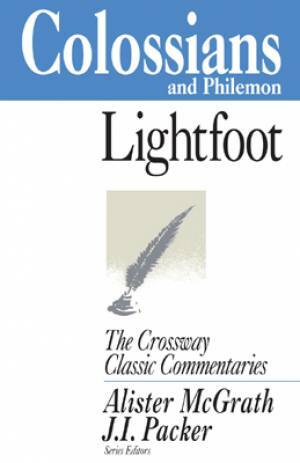 B. Lightfoot was published by Crossway in October 1997 and is our 32511th best seller. The ISBN for Colossians & Philemon: Crossway Classic Commentary is 9781856841443. Be the first to review Colossians & Philemon: Crossway Classic Commentary! Got a question? No problem! Just click here to ask us about Colossians & Philemon: Crossway Classic Commentary.